Casket bearers were Mrs. Tessmer’s grandchildren. Honorary casket bearers were her great-grandchildren. Interment was in the chuch cemetery. Leola “Ole” Wilhelmine Ella Ellig Tessmer was born Aug. 13, 1924, in Bismarck Township, Sibley County, the only child born to Benhard and Helena (Roepke) Ellig. She was baptized Sept. 7, 1924, at St. John’s Lutheran Church in Bismarck Township, and confirmed in her faith (in German) on April 10, 1938, at Immanuel Lutheran Church in New Auburn. She attended grade school at several schools, as her parents moved several times during her youth. After she completed eighth grade, her parents lived and farmed in Bismarck Township. She wanted to attend high school, but was told she needed to help on the farm and there was no need to attend high school. She married Orvel Tessmer on oct. 27, 1944, at St. John’s Lutheran Church in Bismarck Township, rural Winthrop. Their marriage was blessed with three children, Randy, Neal and Wendy. 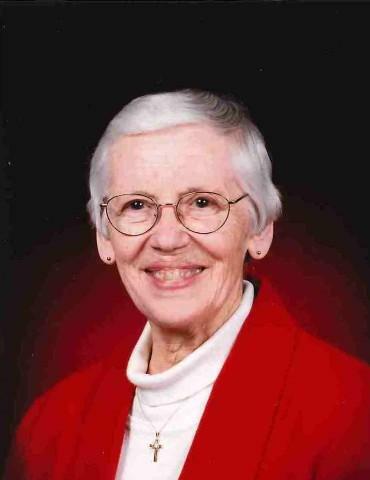 Mrs. Tessmer was a lifelong Lutheran parishioner, and her faith was always strong and growing. Ole and Orvel Tessmer farmed with both sets of parents until they could go it on their own. Mrs. Tessmer was a true marriage partner, standing and working side by side with her husbands through the farming, along with raising and taking her children to parochial times. At times when they needed additional income, Mr. Tessmer would work off the farm and Mrs. Tessmer would take care of the animals and milk the cows with the help of her children. Later, the cows were sold, and Mrs. Tessmer went to work at Super Valu in Gaylord. Mrs. Tessmer was a very giving, loving and kind person to all; she firmly knew the Lord would take care of her. She was an active member of St. Paul’s Lutheran Church in Stewart, from teaching Sunday school for 20-plus years, serving and working in the ladies groups, singing in the choir and serving where there was a need. She also volunteered at the Gaylord Lakeview Nursing Home for many years until her health wouldn’t allow her to. She donated to the Red Cross blood donation program until her health didn’t allow it, with many gallons donated. In her spare time, she enjoyed traveling, dancing, playing cards, fishing, going for rides in the countryside, visiting with friends, and especially her family. She truly loved and enjoyed her family, and her grandchildren were always cherished by her. Her memory will lovingly be cherished by her son, Randy (Sue) Tessmer of Gaylord; daughter, Wendy (Steve) Hellwig of Litchfield; daughter-in-law, Jeannie Tessmer of Hutchinson; grandchildren, Craig (Janna) Tessmer, Kris Krienke, Heidi (Nathan) Krzmarzick, Corrine (Jody) Riebe, Tiffany Tessmer and Ben Tessmer; great-grandchildren, Beth Tessmer, Sarah Tessmer, Caitlin Krzmarzick and Colton Krzmarzick; nieces, other relatives and friends. She was preceded in death by her parents, Ben and Lena Ellig; husband, Orvel Tessmer; son, Neal Tessmer; parents-in-law, Henry and Gertrude Tessmer; brother-in-law and sister-in-law, Hilbert and Mabel Tessmer; and niece, Marilyn Boener. Memorials are preferred to St. Paul’s Lutheran Church in Stewart. Arrangements were with the Hughes-Hantge Funeral Chapel in Stewart. Online guest book is available at www.hantge.com.